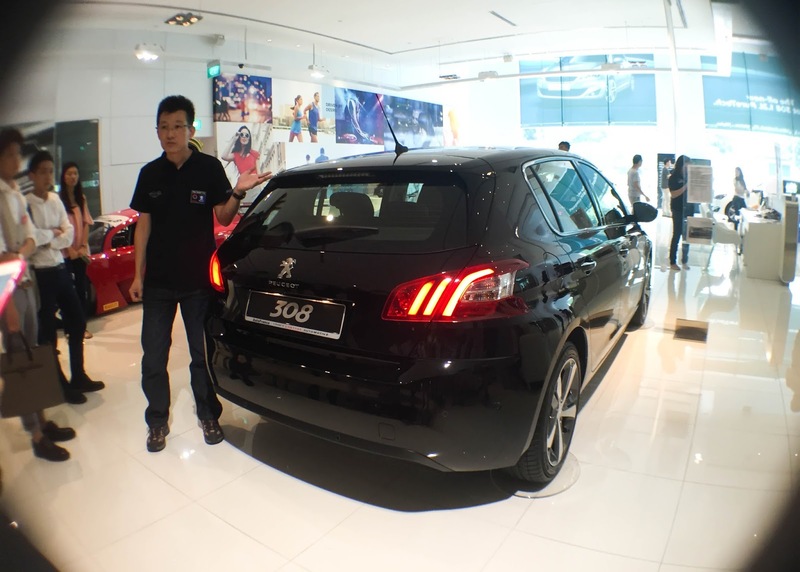 marc and i were recently invited down to the peugeot showroom to test drive their latest peugeot 308 hatchback and 308 station wagon. 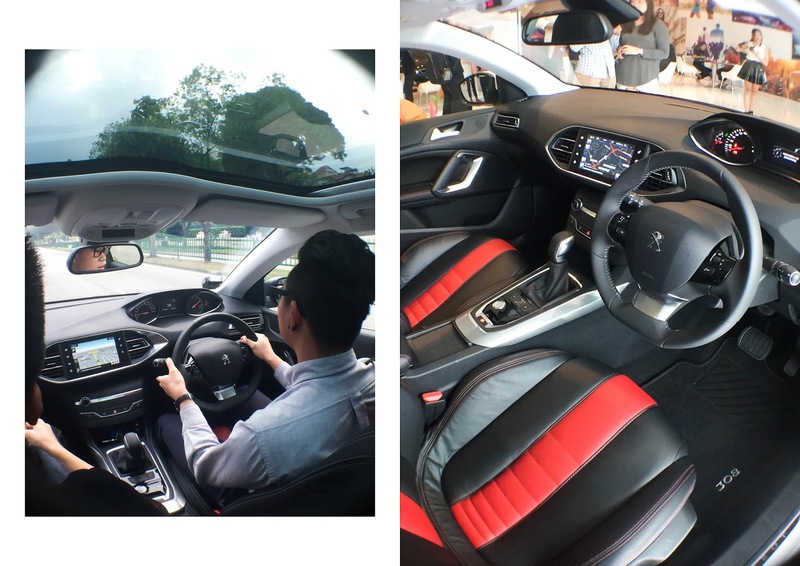 the 308 is sleek, spacious and minimalistic in its design — from the i-cockpit interior and multifunction touch screen to the engine start up. the full LED headlights with LED daytime running lights give the 308 a stunning profile. the 308 has an excellent fuel consumption of up to 19.6km/ litre and convenient driving aids like the city park assist and blind spot monitoring system technology. 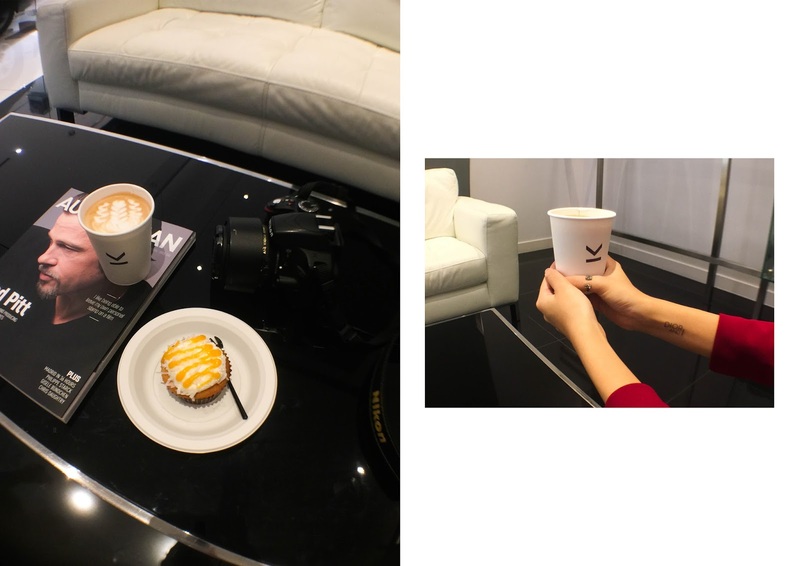 while waiting, we helped ourselves to the complimentary hot latte from kinsmen coffee and coconut mango cupcake from lamb cupcakery. yum! during our test drive experience, we first noticed the panoramic glass roof that stretches all the way to the back of the car — which i thought was really attractive because i love the idea of natural lighting seeping in and i was imagining how soothing it would be to watch falling raindrops. 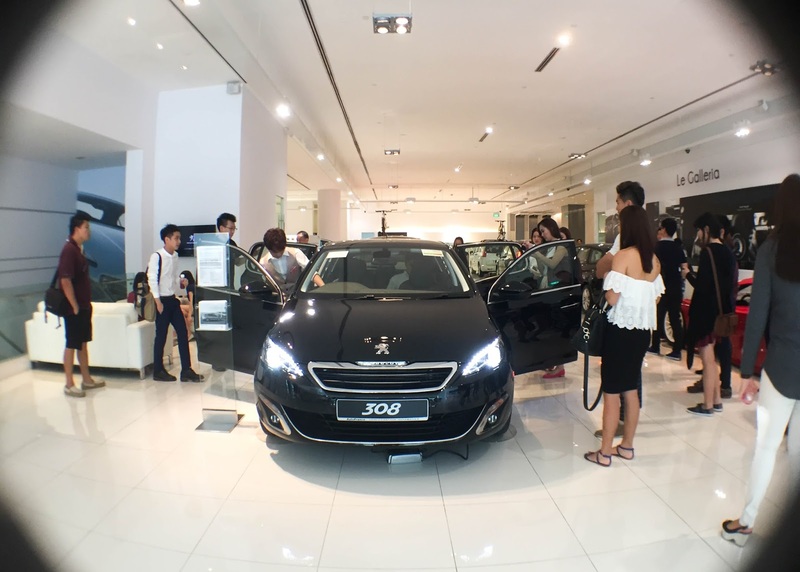 thank you again to peugeot and nuffnang for the lovely afternoon!